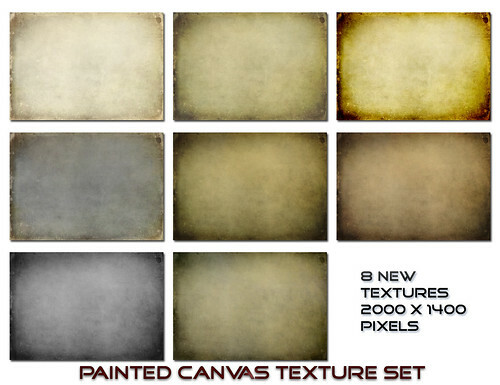 Painted Canvas Set, originally uploaded by SkeletalMess. to my Flickr site for individual texture downloads. Thank you so very much for your generosity in sharing your textures. These are gorgeous. I want to tell you what an inspiration you are to me. I'm not able to visit every single day and I see you have been very busy. Your work is appreciated so much. Thank you. Thank you from Germany-I love your textures so much!!! Thanks for sharing! Once again, your textures blow me away. Every single one of them is just plain yummy. You make me want to play on photoshop all day long! Thank you! Beautiful as always. So grateful that you share these. Another thank you! I have no idea how you keep coming up with all these diferent textures. Glad you do though! Thank you, Kathleen. I've been browsing your entire site and I love all your work. I can't wait to try out your textures. I'm learning photoshop and these look like fun! Thank you.